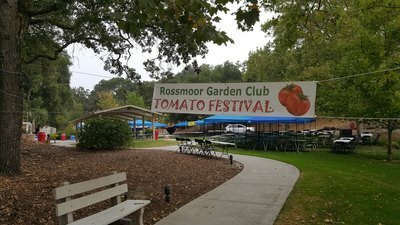 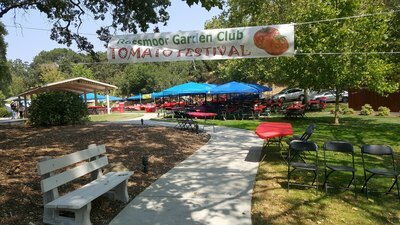 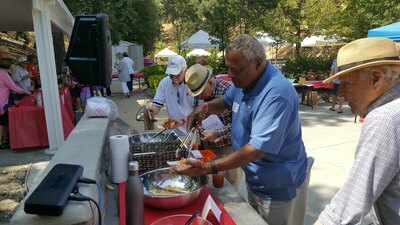 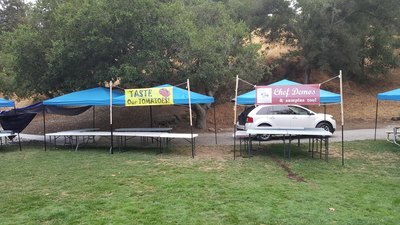 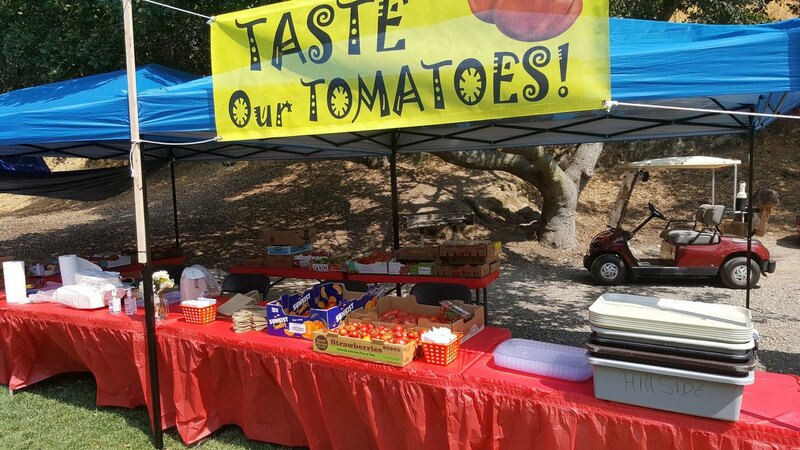 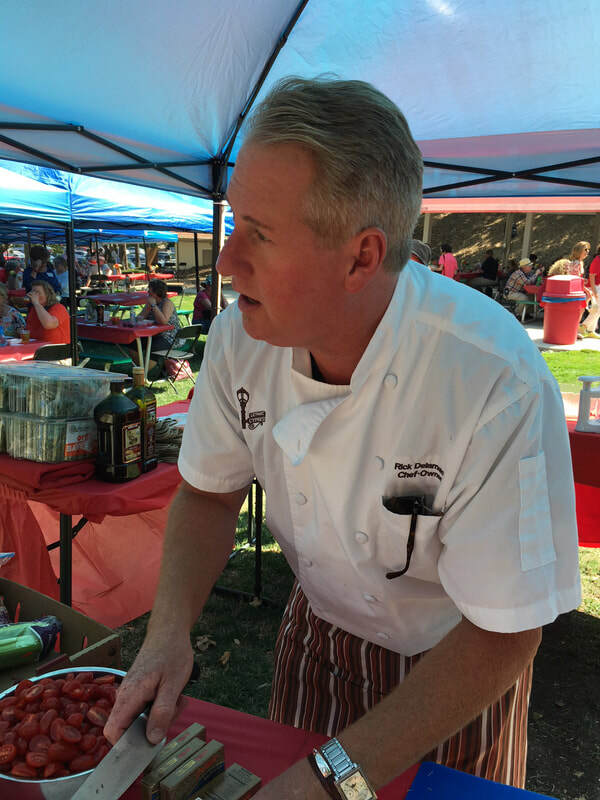 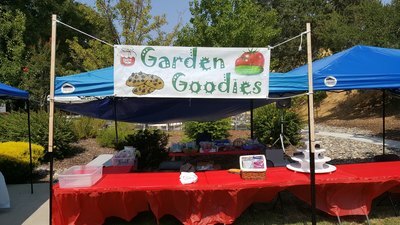 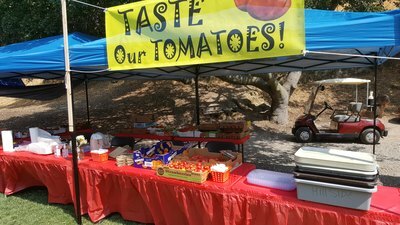 ​Thank you to all who came to the Tomato Festival and helped with our annual fundraiser that keeps the garden going each year. This year was really fun, and the cooler weather helped a little too. 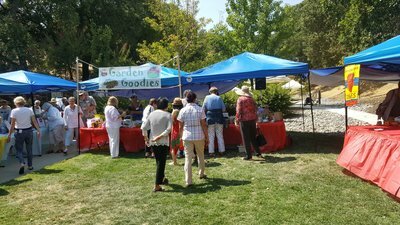 The two areas that were a big success were the Garden Goodies which made approx. 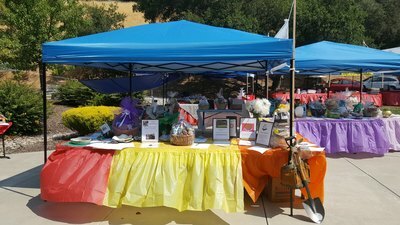 $1,800, and the Silent Auction, which brought in $3,900. 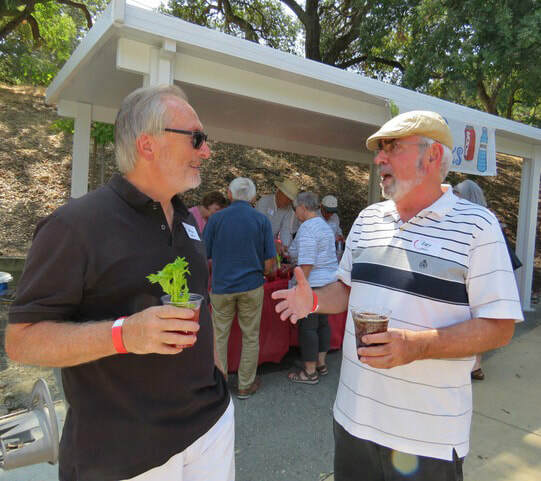 Significant club donors included: Jacqui & Sheafe Ewing (2-night stay Donatello Hotel SF, value $500, sold $350); Linda & Ed Boule (2 night stay Vino Bello Resort Napa, value $500, sold $250); and from Sylvia Hoag an incredible 1976 Lafitte Rothschild (valued at $850, sold $320;) and more than 120 other items which sold for prices ranging from $10 to $100 each. Project leads included: Produce Picking – Les Edwards, Beverages/Bar - Gene Widdel, Floral Arrangements - Kathryn Gschwend & Wendy Heath, Tomato Tasting - Eldon Rowe & Andy Okumoto, Sat. 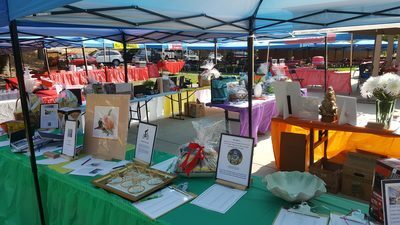 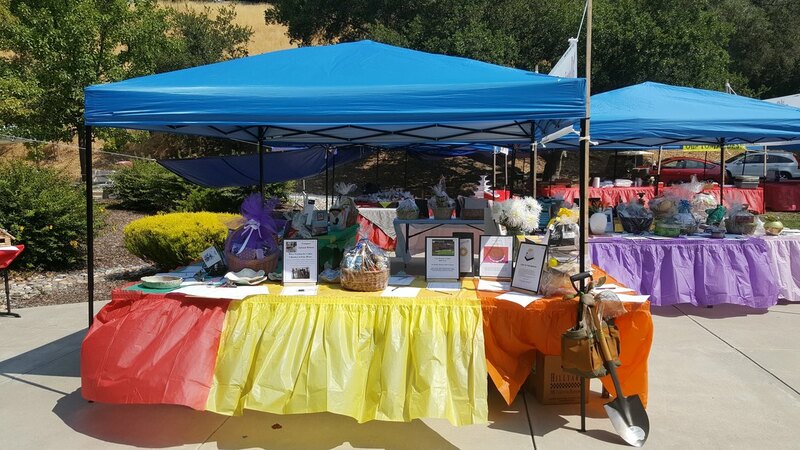 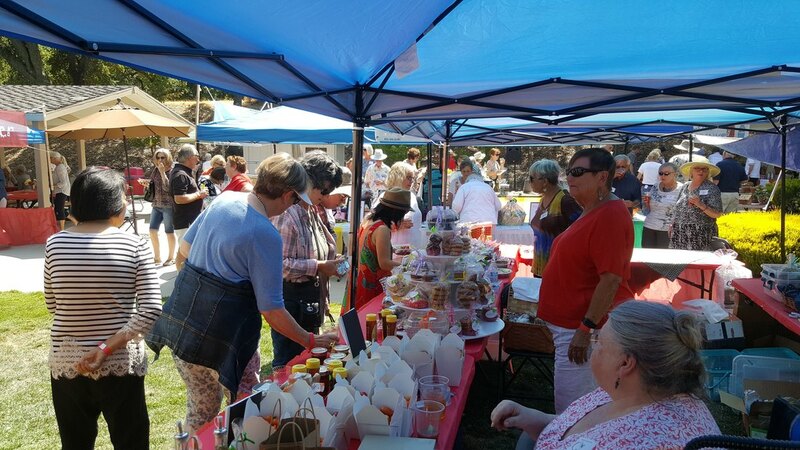 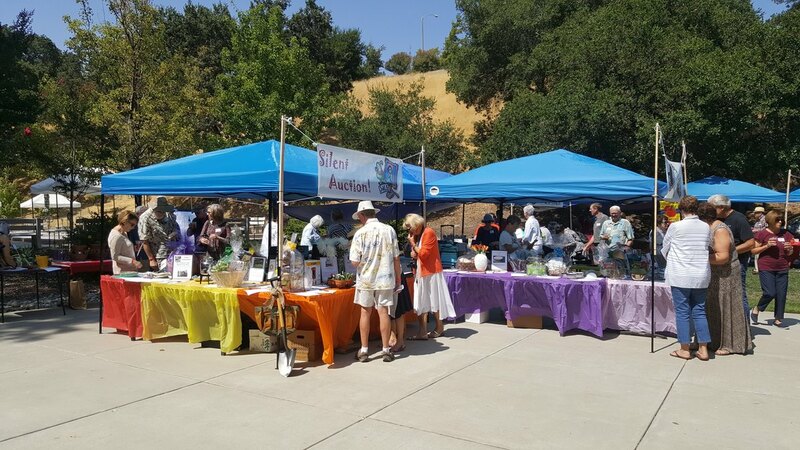 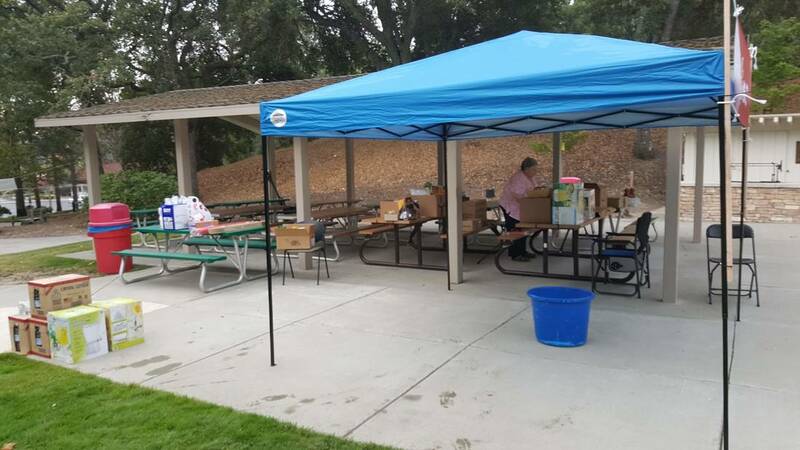 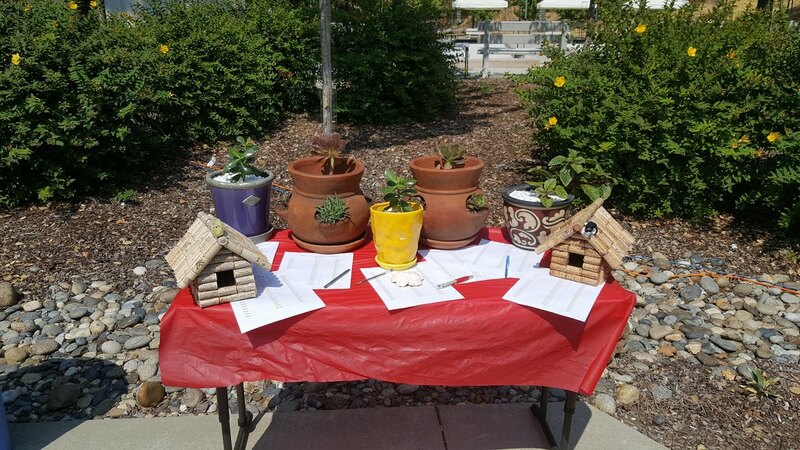 set-up – Pam Ovalle & Dolly Ackerman, Garden Goodies– Linda Boule, Auction - Cathie Cirina, Greeter - Nancy & Ted McClellan, Elaine Neufeldt, Cashier – Marcia Belcher, Ed Boule, Mark Forrette, Announcer/Auctioneer - Lynne Forrette, Breakdown – Ted Bentley & Freddie Delamain, Site Set-up – Ted Bentley, Pat Ranagan, Freddie Delamain, Event Co-Chairs Freddie Delamain, Pat Ranagan. In addition to the leads, there were 65 volunteers who worked from an hour to, in a few cases, 8-9 hours before/during the Festival. 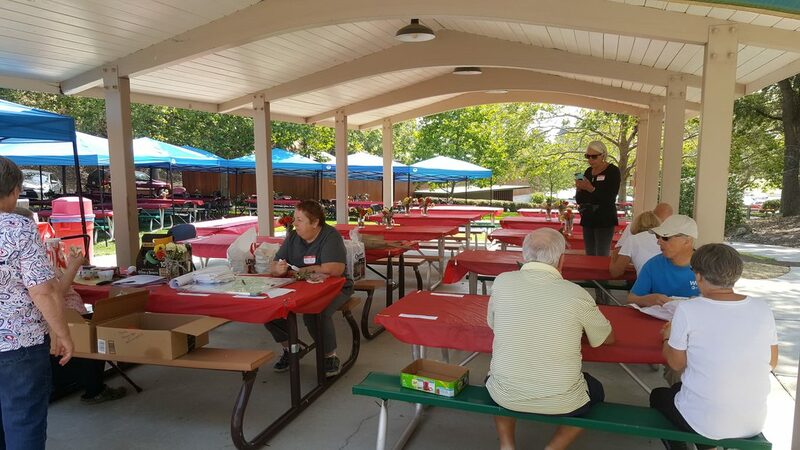 There were also six non-members who volunteered to help in various areas for the sheer fun of being involved and to help friends, especially with breakdown at the end of the evening when some promised volunteers were not available. 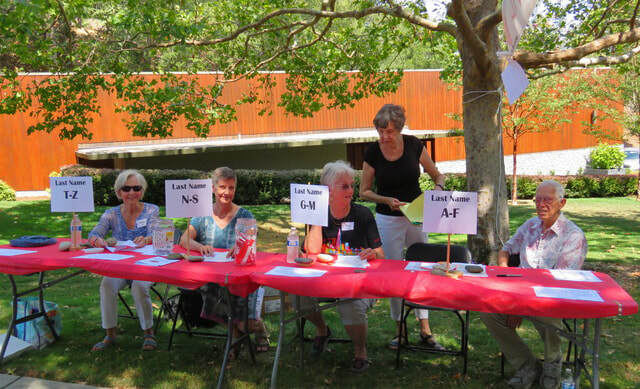 Business Supporters – Several businesses donated gift certificates for the auction. They include: MoMo’s Restaurant - WC, Hideout Kitchen Café - Lafayette, Rooftop Restaurant - WC, Hound Lounge Dog Grooming, Boundary Oaks Golf Course, Dollar Ranch Golf Course, Treasure Island Wines, Team S Salon,Danville, Yoga & Movement Center. 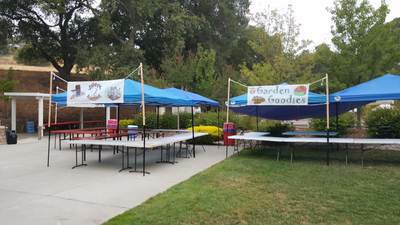 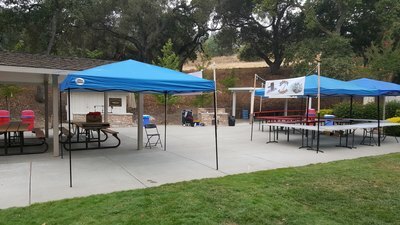 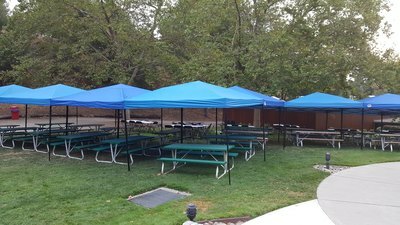 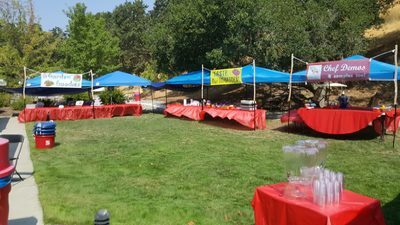 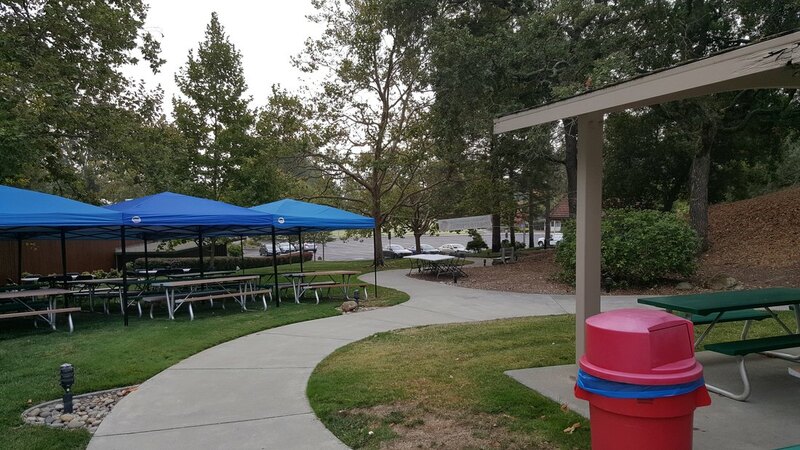 Finish setup, covering the tables, moving everything into each booth, getting the bar and water stations ready, checking the sound systems and taking a break for lunch. Saturday, Sept 25th, 2:00 pm - Doors Open. 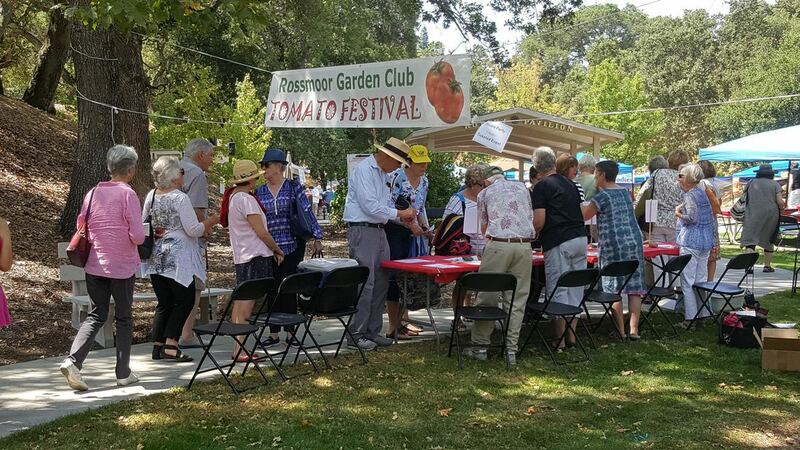 There was a line waiting at 2 pm to get into the Tomato Festival. 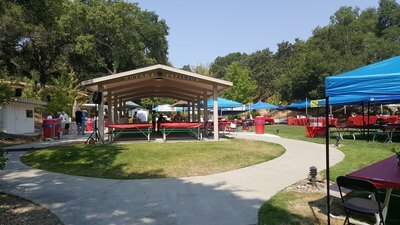 There were about 340 people in attendance. 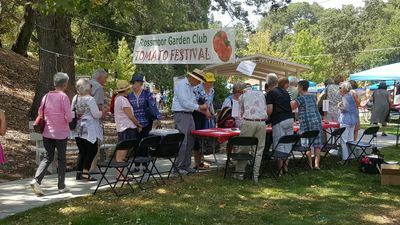 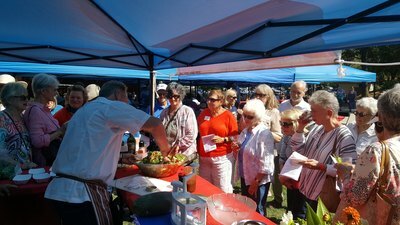 All the booths were very busy: Silent Auction, Garden Goodies, Bar ( Bloody Marys, sodas, water, iced tea), Tomato Tasting, and Chef Demo tents. The BBQ Dinner by Englund's was great and everyone got through the line (340 people) in 20 minutes. 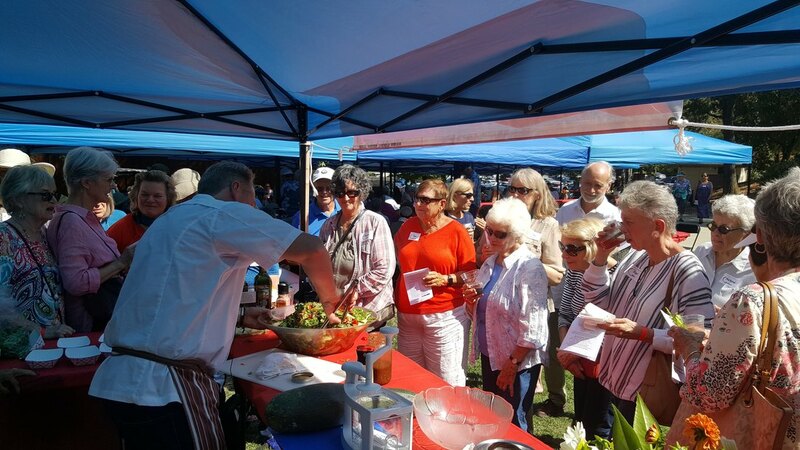 Our tireless leader, Ted, and his lovely wife, Judy. 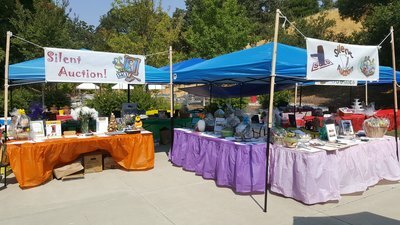 Always smiling! 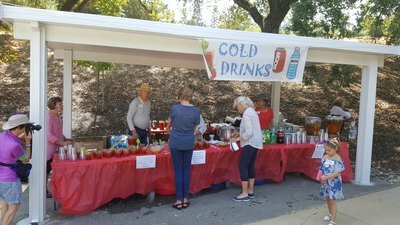 The crew at the drinks table. Julie and Linda B. at the Goodies Table. Eldon and Andy at the tomato tasting table. Checking out the Goodies Table. 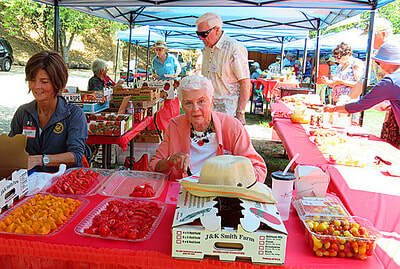 Eldon and Beth identifying tomatoes. Ed Boulé, The man in charge of money!